The East3Route initiative originally formed part of the Lubombo Spatial Development initiative, collectively conceived by the Governments of South Africa, Mozambique and Swaziland as far back as 1998, with a view to, in particular, promoting eco-tourism development capitalising on the region's exciting topographical landmarks and emphasising the existing blend of cultural and historical heritage. During the course of Tourism Indaba, held in May 2011, the KwaZulu-Natal Provincial Government's MEC for Economic Development and Tourism in KwaZulu-Natal, Mr Michael Mabuyakhulu, met in Durban with both Mozambique's Minister of Tourism and Swaziland's Minister of Tourism and Environmental Affairs. During that watershed meeting the parties agreed on the need for three-country co-operation regarding issues relating to tourism. They further agreed to a second meeting, scheduled for 05 September 2011 in Maputo, Mozambique. 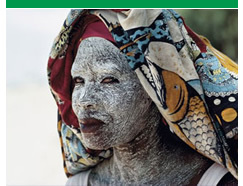 In view of the 2011 Tourism Month theme 'Tourism Linking Cultures', it was decided that 2011's Tourism Month celebration and activation should involve a cross-border country excursion, linking South Africa (Province of KwaZulu-Natal) with Mozambique and Swaziland. 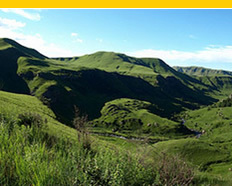 Accordingly, on 26 September 2011, a tripartite economic and tourism development initiative, featuring KwaZulu-Natal, Mozambique and Swaziland, brought into being the East3Route. Seychelles joined the bloc in 2013 and had a limited participation during the Investment Seminar & Exhibition in 2013, and in 2014 the Republic of Seychelles participated fully in the Seminar. 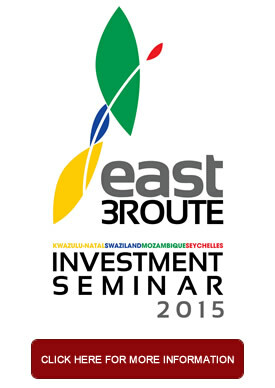 Hosted by Trade & Investment KwaZulu-Natal, the 2015 east3ROUTE Investment Seminar took place for the fourth year as a dedicated investment and trade promotion platform. This year saw the seminar being staged as a standalone event in the MahéIsland, Seychelles on the 31st July 2015 due to the geographic location of the island in respect to the other three countries in the bloc. The fifth edition of the east3ROUTE expedition will take place from 11th to 17th October 2015. The 7 days and 6 nights main expedition will start in Mozambique, and then proceed to Swaziland ending in the Province of KwaZulu-Natal - South Africa. 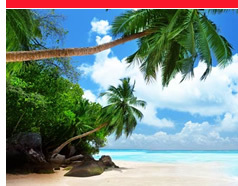 A mini excursion will take place in the Seychelles Islands along with the Investment Seminar at the end of July. Have you taken your malaria vaccination yet? 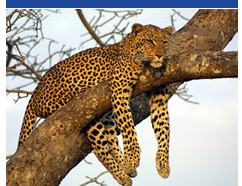 The fifth edition of the east3ROUTE expedition will take place from 11th to 17th October 2015. This year the expedition will start in Mozambique. We encourage delegates to take precautionary measures.